This entry was posted in General on March 24, 2010 by Ryan Curtis. Early in the lives of Dwarf Shrimp it can be difficult to tell the difference between a male and a female shrimp, and even some adult Caridina species can be difficult to differentiate. Recently in a PlantedTank.net forum discussion a picture of a Yellow Shrimp started some debate. I would like to hear from my readers! What do you think this is, a male or a female? This entry was posted in General on October 13, 2009 by Ryan Curtis. It has been about a month since I first ordered my first bag of Hikari Shrimp Cuisine. I have been using it in one of my Red Cherry Shrimp aquariums as well as one of my Amano Shrimp aquariums since its arrival. 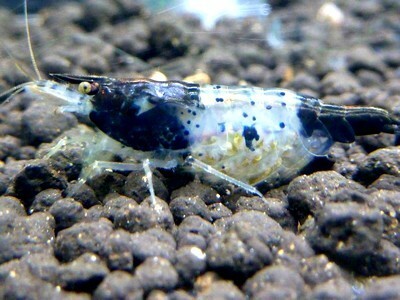 I have found Hikari Shrimp Cuisine to be a good food for the Dwarf Shrimp I have tested it on. Because I feed quite a bit of verity and very high quality food to all my Dwarf Shrimp already I did not notice any difference in color or growth, but I also did not notice any negative effects either. All the Dwarf Shrimp reacted greedily upon introduction of the food each time they were fed. The Red Cherry Shrimp would quickly form a large group of shrimp around the food, and the Amano Shrimp would each pick up a pellet and quickly swim away to enjoy their meal. This is a high quality food manufactured specifically for Dwarf Shrimp and I will be adding this food to my regular rotation to be fed to all of my shrimp. This entry was posted in Aquarium News, General on April 5, 2009 by Ryan Curtis. The nomenclature of Dwarf Shrimp has been muddy since the beginning of the hobby. Many shrimp have many different common names used in different areas of the world, and some exporters/importers even make up common names to make the nomenclature even more confusing. For example the common Red Cherry Shrimp goes by many names. Red Cherry Shrimp, Cherry Red Shrimp, Cherry Shrimp, Fire Cherry Shrimp and just Fire Shrimp. That list doesn’t even get into the scientific name Neocaridina heteropoda or Neocaridina denticulata sinensis (var. red) depending on what scientist is correct. When the Red Cherry Shrimp was first introduced to the American hobby people most commonly referred to them as Cherry Red Shrimp. Then came the Crystal Red Shrimp, that the breeders and hobbyist often referred to as CRS. Well, the CRS label confused many (CRS also could be Cherry Red Shrimp) so the Red Cherry Shrimp quickly became the Cherry Red Shrimp. Then the name of the Crystal Red Shrimp got confusing. Depending on what region of the world you live in the name could be many different things. From the Red Bee Shrimp to the Red Diamond, some have even referred to it as the Candy Cane Shrimp or the Red Bumble Bee. That brings us to the Bee Shrimp. The Bee Shrimp is the shrimp the CRS is selectively bred from. It is called the Bee Shrimp, Black Diamond Shrimp, and sometimes the Bumble Bee Shrimp. The only good thing about all this, is all the names refer to a single shrimp species, Ghost Shrimp, well that is a different story! “Ghost Shrimp” is a name given to a loose group of similarly sized and similarly colored shrimp. This name has been put on shrimp that range from Palaemonetes spp. all the way to Neocaridina spp. and Macrobrachium spp. Some of these shrimp are harmless to other shrimp, fish and plants while some will devastate a community aquarium. In North American the most common “Ghost Shrimp” is the American Glass Shrimp (Palaemonetes paludosus) and is labeled Ghost Shrimp 99% of the time. For almost each shrimp in the hobby there is almost assuredly a confusing name or two for that shrimp. So what is the cure? The only real cure is Time. The hobby is still new and growing. Over time there will become an accepted norm and things will get less confusing! So until then, enjoy a picture of one of my Red Cherry Red Fire Shrimp! This entry was posted in Aquarium News, General on March 18, 2009 by Ryan Curtis. When attempting to catch Dwarf Shrimp, if not using a proven technique, it can be quite a pain because Dwarf Shrimp can be fast and quite agile. But using this simple technique it is very simple to catch a large amount of shrimp or even target a specific shrimp. Drop a piece of sinking shrimp food (such as Hikari Shrimp Cuisine) as close to the front glass as possible. Slowly insert net behind shrimp, putting the shrimp between the net and glass. Move net toward shrimp and scoop up as many as needed. The shrimp will normally be distracted by the food and are usually easy to catch. I tend to scoop under the shrimp just on top of the substrate and it seems to work VERY well. This entry was posted in Tech, General on February 16, 2009 by Ryan Curtis. The Dwarf Shrimp Blog has officially reached its 100th post. The goal of this blog has been to inform and sometimes entertain those who are interested in this wonderful hobby. Since I started this blog in September of 2007, with my first post “The Cherry Shrimp Gets a New Name” this blog has grown quite a bit. Here are a few of my favorite posts and the 5 most popular posts (according to amount of visits). 5. American Glass Shrimp Breeding Program - (A Series) – I dive into breeding American Glass Shrimp for multiple generations. Sadly, this program was put on hold due to covering Hurricanes and the election for ABC News. 4. Soft Water Shrimp in Hard Water - (A Series) – At one point there was a lot of debate over the merits of keeping soft water shrimp (such as Tiger Shrimp) in hard water. This experiment proved it is possible to do so, but not ideal. This experiment was also put on hold due to hurricanes and the election. 3. Iodine: Is supplementation needed for Dwarf Shrimp? 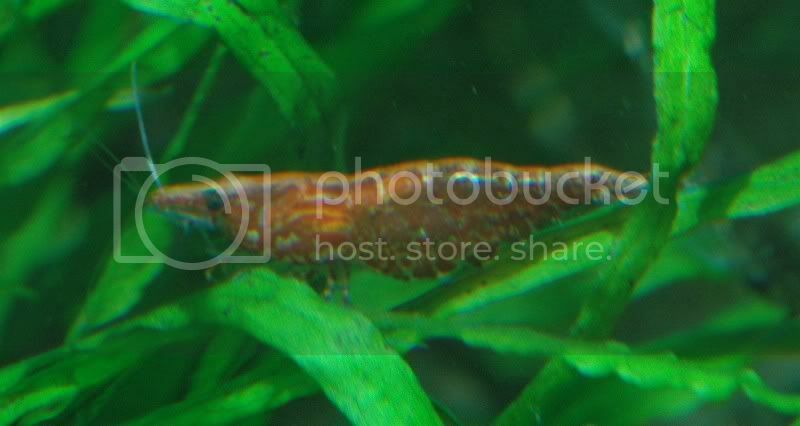 - This post answers a question that is as old as the Dwarf Shrimp hobby. 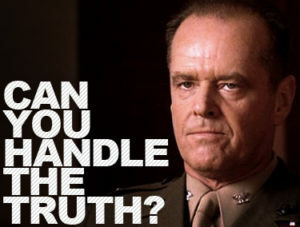 The basic answer is no, but this post dives a little deeper into that question. 2. Breeding Tiger Shrimp (A detailed experience) – After reading many reports about difficulties breeding Tiger Shrimp I decided to post a detailed account of my experiences. 1. Dwarf Shrimp Contest Winners – After a month long contest I was able to announce the winners and award them some free Dwarf Shrimp. I enjoyed being able to help a hobbyist get their hands on some free shrimp! 5. Birth to Berry – Yellow Shrimp Edition - A detailed observation of Yellow Shrimp from the day they are born until the first female is observed to be berried. 4. Dwarf Shrimp Birth to Berry (update #2) – The second update in a series intended to follow a few Dwarf Shrimp from the day they are born until the day they are berried. 3. New Shrimp (Caridina sp.) – TheShrimpFarm.com receives a few mystery shrimp that are later thought to be Malaya Shrimp. 2. Birth to Berry – Tiger Shrimp Edition – Another Birth to Berry series, this time I follow the life of a Tiger Shrimp. 1. 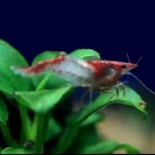 Breeding Tiger Shrimp - Showing that Tiger Shrimp are the most popular shrimp on my blog, this post is by the most popular. Well, the first 100 posts have been fun for me (for the most part) and I really look forward to the next 100. This entry was posted in Aquarium News, General on January 24, 2009 by Ryan Curtis. The baby Self Cloning Crayfish are all over the aquarium now. They have become quite inquisitive and hungry. Whenever I feed them, they rush to the food and gather in large groups. Do you have any experience with this species of Crayfish? If you do, leave a comment and let us know about it! This entry was posted in General on December 6, 2008 by Ryan Curtis.